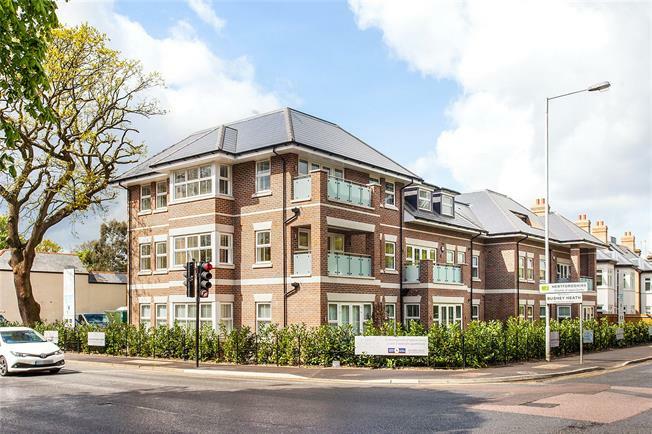 2 Bedroom Flat For Sale in Bushey Heath, Hertfordshi for Asking Price £525,000. Last Apartment Priced At £525,000. Arrange An Appointment To View Today. Situated in Bushey Heath, Alpine House is an exclusive collection of twelve luxury 2 and 3 bedroom apartments by Giles Homes, set within landscaped grounds. Each apartment benefits from light and spacious living accommodation, excellent specification and finishes as well as it’s own private outside space and allocated parking. a half sinks, Quooker hot taps, Sink waste disposal units, Feature glass splash backs, Porcelain tiled floors, Siemens integrated appliances: Multi function single oven, Combination microwave, Induction hob, Dishwasher, Fridge freezer, Warming drawer, Washer dryer. - Ensuite Bathroom to Master Bedroom and Family Bathroom all with Villeroy & Boch porcelain sanitaryware. - Passenger lift to all floors. - Gas fired underfloor heating with zoned heating controls. - LED recessed down lights throughout. - Walnut doors with polished chrome door furniture. - Wood effect laminate flooring to Lounge area and Hallways. - Fitted wardrobes to all Bedrooms. - One allocated parking space per apartment. - Private Balconies/Terraces To Select Apartments. The pictures you see may not be indicative of this property. They could be CGI's or pictures of the Development Show Apartment or Show Home or of a previous Giles Homes Development. Surrounded by countryside, Bushey Heath enjoys the best that the area has to offer. There are a number of leisure amenities in the immediate area including golf courses and country parks as well as local shops and restaurants, while the wider area encompasses Watford with it’s comprehensive shopping and leisure facilities.